Ford has revealed that the all-new Ford GT is installed with 25 on-board computer systems comprising 10 million lines of software code - more than a state-of-the-art Lockheed Martin F-35 Lightning II fighter jet. Data is generated in the vehicle at a rate of 100 GB per hour (that's roughly the equivalent to about 25,000 digital song downloads), and its 25 on-board computer systems can process data at 300 MB per second. In addition, the new Ford GT uses 50 different sensors to monitor vehicle performance and behaviour, external environment, and driver inputs for an optimised driving experience. "The Ford GT’s sophisticated computing systems work hand-in-hand with the vehicle’s core race car architecture to enhance performance, and also deliver greater versatility and flexibility. By constantly monitoring inputs, vehicle loads and environment, and adjusting the car’s profile and responses to suit, the Ford GT remains as responsive and stable at 300 km/h as it is at 30 km/h." 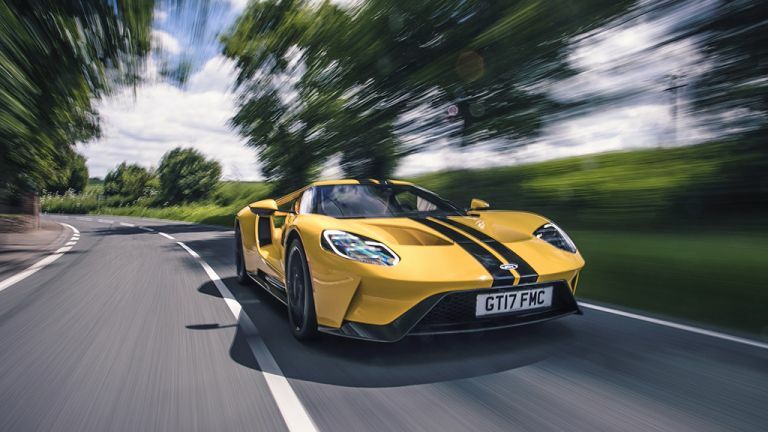 Ford's new GT has a rapid top speed of 216 mph (347 km/h) thanks to a 647 horsepower, 3.5-litre EcoBoost V6 engine, a power plant that also delivers a 0-60 mph time of just 2.9 seconds.